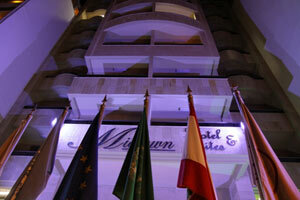 Hotel Golden Tulip Midtown is located in Hamra, the heart of Beirut's business & shopping area. 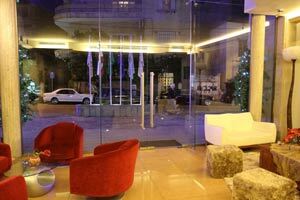 Only 15 minutes from Beirut International Airport, close to the Corniche, the hotel is 2 minutes walking distance from the American University & Hospital. 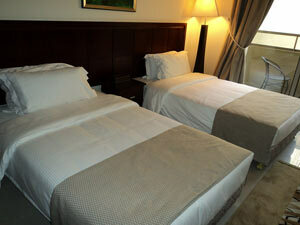 Golden Tulip Midtown features 82 rooms & suites all modern in design & elegantly decorated. Whether you are on a business trip or leisure, the rooms will certainely fit your needs for tranquility to work or relaxation. 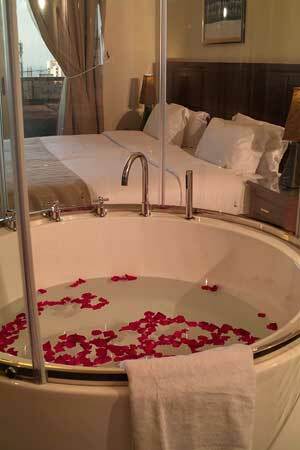 Each suite has 2 private balconies, a private Jacuzzi & kitchenette. 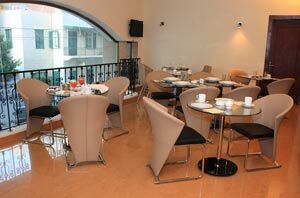 The hotel restaurant, "The First", offers a wide variety of Lebanese & International cuisine. 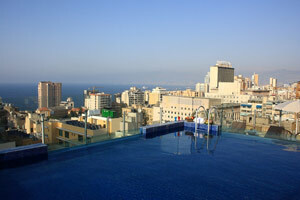 Enjoy the lovely view of Beirut from the rooftop swimming pool.